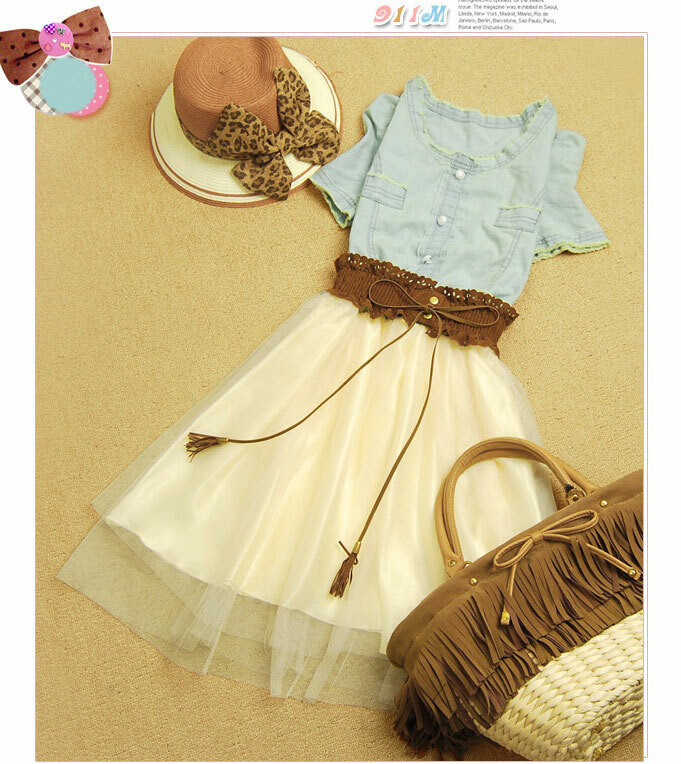 Fashion Nice Vintage Denim Gauze Skirt Dress have wonderful design. This dress has been crafted in cotton,featuring a round neckline with row edge,short puff sleeves,button detail,a side concealed zip closure,a belt with tassels drawstring, multi layer mesh skirt with blue mesh lining hemline,in a regular fit. I have nothing to say bad about this dress. She is lovely and adorable. It fits great on me. Good quality and looks like very well, very satisfied with it.